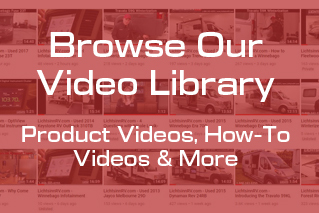 Our videos are a great way of learning more about our products, the services we offer, and to get some tips on how-to run features and components on your coach. Here are 7 types of videos you will see in our video library. Here are the five reasons why we think the Winnebago Boldt is better than the PleasureWay Plateau FL. Watch our video on the 5 Reasons Why We Think the Winnebago Boldt is Better than the Pleasureway Plateau FL here. Our first reason why we think the Winnebago Boldt is better than the PleasureWay Plateau FL is Pure3 Energy Management System in the Winnebago Boldt. The Pure 3 provides complete 30 AMP whole coach electricity using a 3,600-watt pure sine inverter and simple one touch operation, compared to using multiple inverters and multiple startup procedures in the PleasureWay. The Pure 3 Volta Power Systems automotive grade 48V energy pack provides 11,600-watt hours of energy! The energy pack is watertight, durable with the steel housing being the safest on the market, and batteries are climate controlled. The Boldt’s dedicated 58-volt alternator, or under hood generator, is twice as powerful as competitors. Its compact design keeps it out of the way of curbs and road debris. The MPPT solar controller and 200-watts of standard solar panels provides best in class solar absorption, up to 30 percent better than competitors, giving you more off the grid performance. The Pleasureway has a far smaller battery pack offering dual 100-amp hour lithium batteries, a smaller inverter at 2000 watts, and solar is an additional fee. Our second reason why we think the Winnebago Boldt is better than the PleasureWay Plateau FL is Winnebago Boldt’s floorplan options. The Boldt comes in the 70BL and 70KL floorplans. The 70BL floorplan features sleeping for 4 with the dinette flex bed, a mid-coach bath, and rear twin beds that convert into cross-coach sleeping. The 70KL floorplan features a spacious galley, twin beds that turn into cross coach sleeping and a roomy rear bath with wardrobe. The Pleasureway Plateau FL is available in only 1 floorplan. The Plateau FL floorplan has a midcoach bath and a rear seating and sleeping configuration for only 2 people. The FL doesn’t have a dinette or swiveling cab seats, it has a rear sleeping and seating configuration that is a tight squeeze when the table is up and doesn’t have a ton of leg room. Our third reason why we think the Winnebago Boldt is better than the PleasureWay Plateau FL is the bathroom configuration in the Boldt. Winnebago considered moisture buildup when they designed the bathroom in the Boldt. The bathroom surround is made from light-weight, durable and water-resistant ABS plastic. You will not have to worry about mold or mildew and cleaning will be a breeze. Pleasureway did not take the same considerations when designing the bathroom. The walls of the bathroom are made from wood paneling and covered in small Velcro dots you are supposed to hang a shower curtain on. The integrity of the Velcro dots will break down with usage of the shower curtain leaving your bathroom vulnerable to mold and mildew build-up. Our forth reason why we think the Winnebago Boldt is better than the PleasureWay Plateau FL is the lightweight Tecnoform Italian cabinetry. Tecnoform cabinetry is Italian-designed, curved cabinetry that is extremely lightweight and highly durable. Tecnoform uses state-of-the-art materials and an environmentally friendly manufacturing process to create doors specifically for the Era. These beautiful, lightweight cabinets were designed to hold up to the most extreme humidity and temperature conditions without cracking, peeling, or warping. The Plateau uses heavy plywood cabinets that were not designed with the same stringent standards and take away from the occupant cargo carrying capacity in the Plateau. Our final reason why we think the Winnebago Boldt is better than the Pleasureway Plateau is Winnebago’s superior build quality. In Winnebago’s 60 years of building RVs they have pioneered several construction standards that are now industry standard. Winnebago was the first RV company in the U.S. to manufacture compact RVs and campervans. Why buy an RV from any other manufacturer? That wraps up our five reasons why the Winnebago Boldt is better than the Pleasureway Plateau FL. 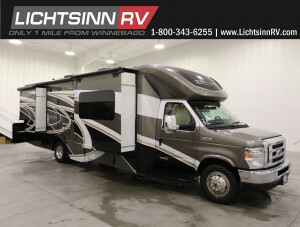 You can see our Winnebago Boldt inventory and other videos like this one by visiting LichtsinnRV.com. Here are the five reasons why we think the Winnebago Boldt is better than the PleasureWay Plateau TS. Watch our video on the 5 Reasons Why We Think the Winnebago Boldt is Better than the Pleasureway Plateau TS here. Our first reason why we think the Winnebago Boldt is better than the PleasureWay Plateau TS is Pure3 Energy Management System in the Winnebago Boldt. The Pure 3 provides complete 30 AMP whole coach electricity using a 3,600-watt pure sine inverter and simple one touch operation, compared to using multiple inverters and multiple startup procedures in the PleasureWay The Pure 3 Volta Power Systems automotive grade 48V energy pack provides 11,600-watt hours of energy! The energy pack is watertight, durable with the steel housing being the safest on the market, and batteries are climate controlled. The Boldt’s dedicated 58-volt alternator, or under hood generator, is twice as powerful as competitors. Its compact design keeps it out of the way of curbs and road debris. The MPPT solar controller and 200-watts of standard solar panels provides best in class solar absorption, up to 30 percent better than competitors, giving you more off the grid performance. The Pleasureway has a far smaller battery pack offering dual 100-amp hour lithium batteries, a smaller inverter at 2000 watts, and solar is an additional fee. Our second reason why we think the Winnebago Boldt is better than the PleasureWay Plateau TS is Winnebago Boldt’s floorplan options. The Boldt comes in the 70BL and 70KL floorplans. 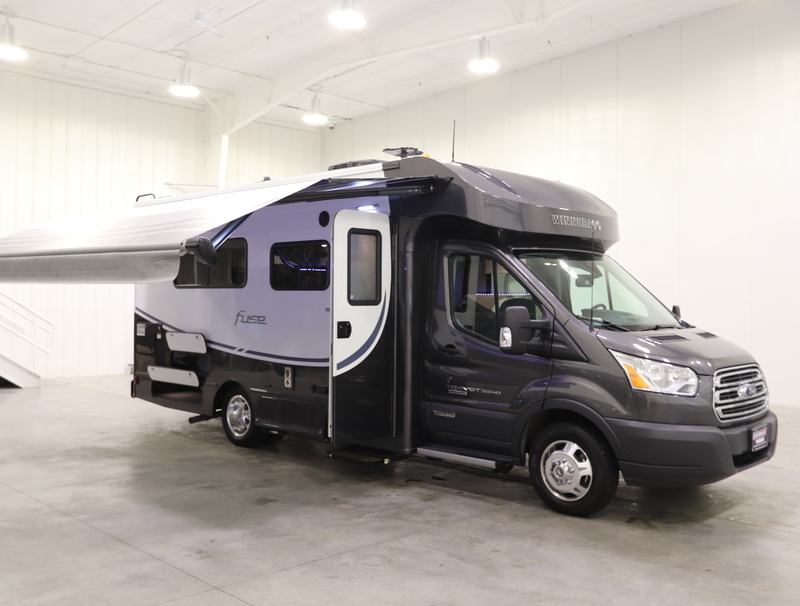 The 70BL floorplan features sleeping for 4 with the dinette flex bed, a mid-coach bath, and rear twin beds that convert into cross-coach sleeping. The 70KL floorplan features a spacious galley, twin beds that turn into cross coach sleeping and a roomy rear bath with wardrobe. The Pleasureway Plateau TS is available in only 1 floorplan. The Plateau TS floorplan has a midcoach bath and a rear seating and sleeping configuration for only 2 people. The TS doesn’t have a dinette or swiveling cab seats, it has a rear sleeping and seating configuration that is a tight squeeze when the table is up and doesn’t have a ton of leg room. Our third reason why we think the Winnebago Boldt is better than the PleasureWay Plateau TS is the bathroom configuration in the Boldt. Winnebago considered moisture buildup when they designed the bathroom in the Boldt. The bathroom surround is made from light-weight, durable and water-resistant ABS plastic. You will not have to worry about mold or mildew and cleaning will be a breeze. Pleasureway did not take the same considerations when designing the bathroom. The walls of the bathroom are made from wood paneling and covered in small Velcro dots you are supposed to hang a shower curtain on. The integrity of the Velcro dots will break down with usage of the shower curtain leaving your bathroom vulnerable to mold and mildew build-up. Our forth reason why we think the Winnebago Boldt is better than the PleasureWay Plateau TS is the lightweight Tecnoform Italian cabinetry. Tecnoform cabinetry is Italian-designed, curved cabinetry that is extremely lightweight and highly durable. Tecnoform uses state-of-the-art materials and an environmentally friendly manufacturing process to create doors specifically for the Era. These beautiful, lightweight cabinets were designed to hold up to the most extreme humidity and temperature conditions without cracking, peeling, or warping. The Plateau uses heavy plywood cabinets that were not designed with the same stringent standards and take away from the occupant cargo carrying capacity in the Plateau. That wraps up our five reasons why the Winnebago Boldt is better than the Pleasureway Plateau TS. 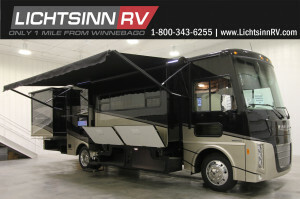 You can see our Winnebago Boldt inventory and other videos like this one by visiting LichtsinnRV.com. It’s getting warmer and you may be ready to get your Travato out of winter storage. The service techs at Lichtsinn RV are more than happy to help you de-winterize your RV or you can follow the easy steps below to de-winterize your Travato 59K, 59G, 59KL or 59GL. Watch our video on how to de-winterize a Winnebago Travato here. Have a vacation planned or planning a vacation? While our calendar is still open, reserve a Lichtsinn RV Rental to help make your vacation a memorable one! Q. 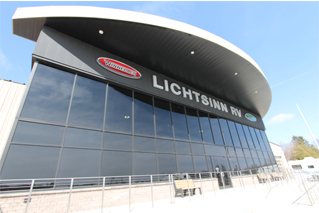 Are there any special driving requirements for renting an RV from Lichtsinn RV? A. A special drivers license or CDL is NOT required! The renter (customer) must possess a valid driver’s license, be at least 25 years of age, and have no major violations on their record. Any additional drivers must also be at least 25 years of age and present on the scheduled departure date with their valid driver’s license. Q. Where can I drive the rentals? A. Pretty much anywhere, but remember our rental vehicles may only be used in the continental US, Canada, and Alaska. A. ALL first time renters are encouraged to view our instructional videos available online or on DVD. A brief walk-around is also provided upon check out. Finally, all books and manuals are present in the RV. A. A deposit is required at reservation ($600 for motorhomes, $300 for travel trailers) and is applied to your final rental balance. Cash is not accepted. Any major credit card, however, is accepted and is applied to your final rental balance. Q. Do I have to provide my own insurance? 2. 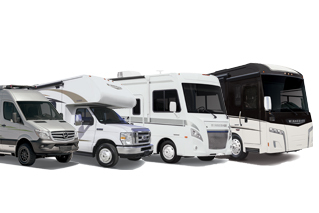 Purchase RV rental insurance through our insurance carrier, online at Mbachoice.com, for a nominal fee. See rental consultant for RV rental policy number and series number. A. If the reservation is cancelled 45 days or more before the scheduled departure date, the entire $600 deposit is refunded, less a $100 administrative fee. If the reservation is cancelled within 45 days of the departure date no refund can be granted. A. We can help! Either you clean the vehicle inside and out and dump the waste tanks (vehicle returns in the same condition it was in at pick-up) or we can clean and dump the RV for a fee. Q. Do you charge for mileage and if so how much? A. 100 miles per day are included free. After that the fee is $0.35 per mile. A. Smoking is NOT allowed in our rental motorhomes. Q. Can we bring pets along? A. Absolutely! Pets are allowed in the rental units with a $10 per day cleaning fee. Q. Do you allow towing with your rental motorhomes? A. Towing is not allowed with our class C motorhomes. Q. Since there is a built-in ladder on the back of the RV can we use the roof to transport our luggage? A. Ladders on rental units are for use by Lichtsinn RV technicians only. Customers are responsible for any roof damage. Q. What happens if I receive a traffic ticket or parking citation while operating one of your rental motorhomes? A. Customers are responsible for reporting and payment of all parking / traffic violations at rental termination. Non-reporting of parking / traffic violations breaches the Rental Contract. Q. What can I expect for fuel economy? A. Obviously there are many contributing factors which determine the gas mileage you will get, however a good rule of thumb is to expect 8-10 MPG. Q. Do any of the motorhomes you rent come with generators? A. All of the motorhomes we rent are equipped with generators. A. Rental units must be returned before noon on the last day of your rental agreement. Additional days may also be leased. There are no refunds or credits on early returns. Q. What happens with fuel and LP? A. Your RV will be full of fuel and LP upon departure. The RV must be returned full of fuel. The LP is included in your rental fee rate. Q. What is the sales tax? A. Iowa sales tax of 7% as well as Iowa rental tax of 5% will be collected on your bill. Q. Is pickup and delivery available? A. Yes! We can pickup and deliver the RV at your destination for a fee. 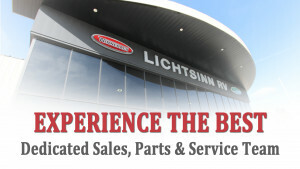 Watch our Experience the Best – Dedicated Sales, Parts & Service Team Video Here. At Lichtsinn RV our relationship goes far beyond your initial RV purchase. We know that your experience after sale is equally if not more important than your experience before and during the purchase of your RV. Your assigned Sales, Parts, Service and Business Office Team Members will work with you to ensure that you enjoy your RV experience throughout the life of your RV.